Riga, Latvia, brimming with culture, history, and art is the gem of the Baltics and its hotels are as diverse as its offerings. 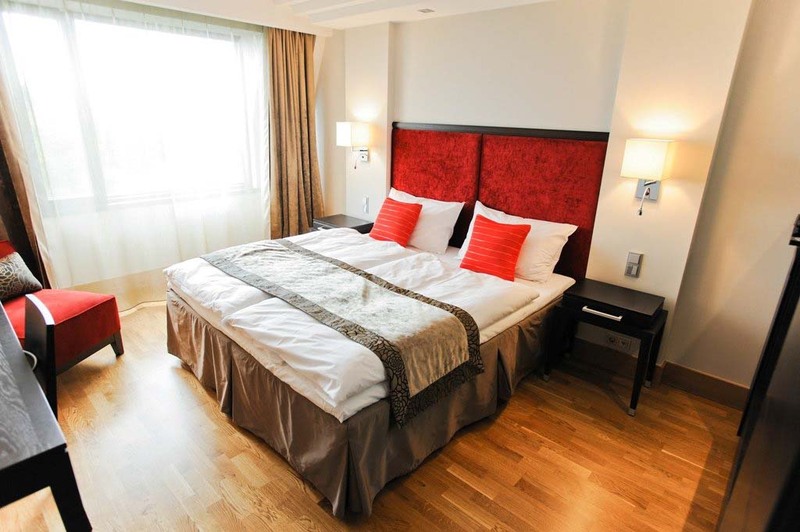 The Radisson Blu Elizabete Hotel, Dome Hotel & Spa, and Gallery Park Hotel are stunning hotels that place guests in the city centre, where they can explore the variety of activities in Latvia’s capital. Regardless of your tastes or hotel needs, you’ll find everything you’re looking for at these three hotels. I couldn’t decide which one I enjoyed more; they each have a unique charm for different tastes. If I was visiting Riga alone, I might choose Dome Hotel where as if I was visiting as a family I might choose Radisson Blu Elizabete. If I was searching for high-end, exclusive accommodations, I might choose Gallery Park. 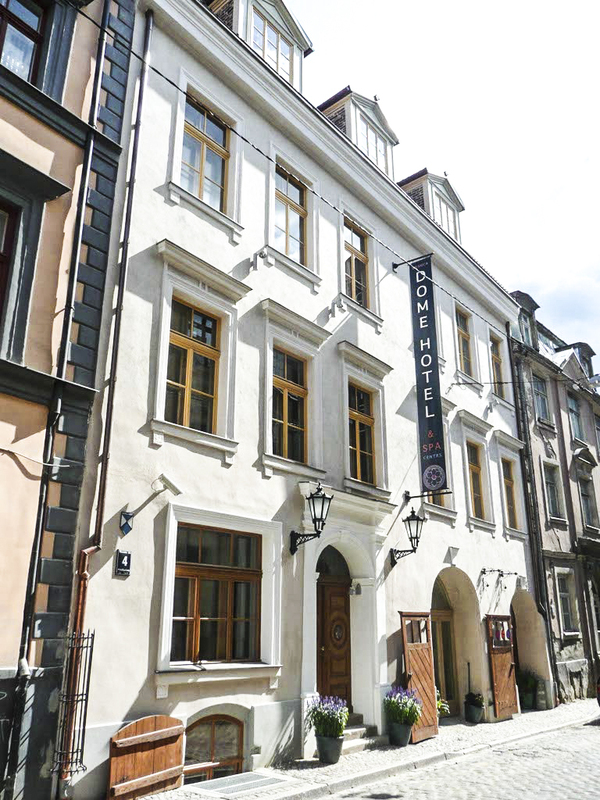 Regardless of your preference, they are excellent examples of the quality of service in Riga. After busy days of sightseeing and attending the best of the European Capital of Culture, I found comfort and relaxation at Radisson Blu Elizabete. With 228 rooms, there are lots of choices and the Radisson name and experience can guarantee they do it right. My room had a fantastic view of a park and I was directly across from Old Town. It was bathed in light during the day and the black-out curtains allowed for a great sleep at night. Amenities like free high-speed, wireless Internet, delicious, reasonably priced dining options, expansive views, and a modern fitness center made me feel at home. All of Riga is very WiFi friendly and the internet was truly unlimited. As a writer, this was a definite perk. I enjoyed a few extra minutes of alone time in the morning with complimentary in-room breakfast and then after busy days of exploring I stepped into a fluffy bathrobe and slippers. 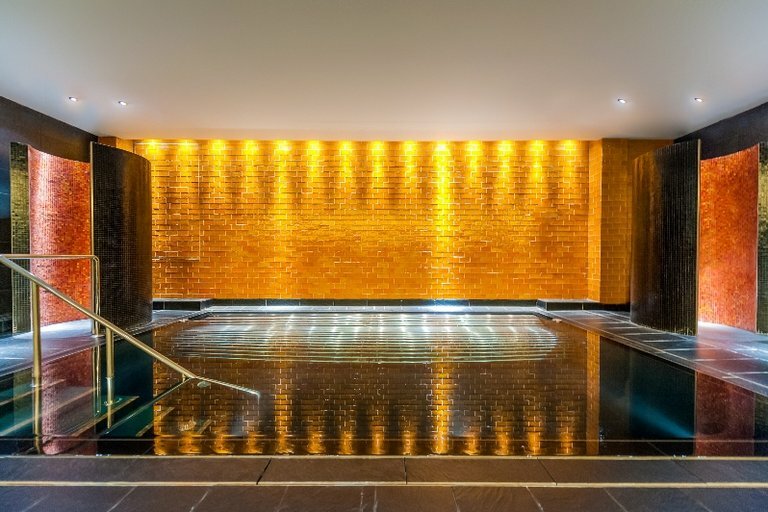 The highlight of my Radisson Blu Elizabete experience was the free access to the leisure area at ESPA. There is a swimming pool, a vitality pool, the Rock Sauna, the Steam Room, specially designed showers, and heated benches. This access, alone, puts Radisson Blu Elizabete way ahead of the competition in its class. I even enjoyed a unique massage at ESPA that was a invigorating experience. 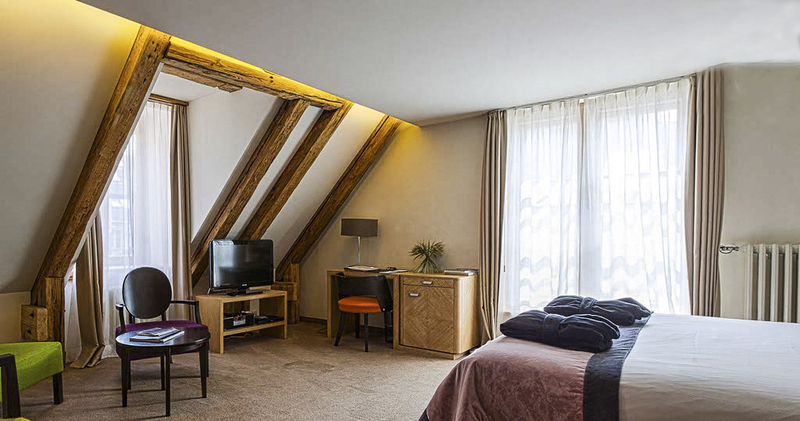 If you’re looking more for a boutique hotel, Dome Hotel & Spa has a room fit for you. They pay attention to every detail to create a memorable stay. The rooms are equipped with a safe, free WiFi, interactive TV, a radio with an alarm clock, a Nespresso coffee maker with a daily supplement of coffee and tea, daily mineral water supply, a king sized bed with a Simmons Beautyrest mattress, dressed in high quality Egyptial cotton linen, and Villeroy & Boch bathrooms with heated floor. The wooden beams created an authentic feel. I wanted to sit in the window and sip tea all evening. Each night, I sleep like a baby, despite indulging in a Nespresso coffee before going to bed. If you’re looking for a fantastic view of the city, you don’t even need to leave the hotel. Just walk up to the terrace and Riga will be before your eyes. Even in the cold weather, I spent at least an hour sitting on the rooftop and admiring the view. The range of hotel services at Dome Hotel & Spa is not limited to the gourmet restaurant, terrace, and spa. Additionally, they offer 24/7 concierge service, room service, a beauty salon, and business services. They are likes genies; they make dreams happen. 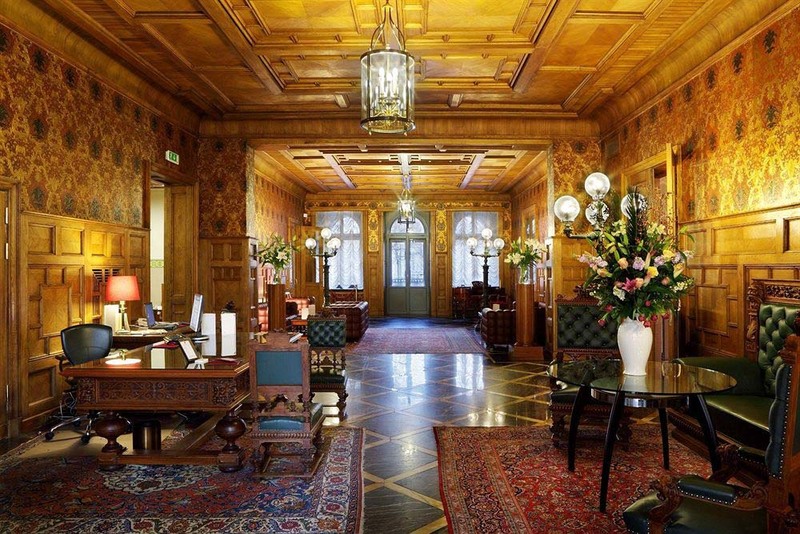 The only one hotel in Latvia nominated a 5-star Superior luxury boutique hotel, Gallery Park Hotel, a member of Chateaux & Hotels Collection, is a heaven of grandeur, hospitality, and luxury. When I arrived at the hotel, a VIP government official from Abu Dhabi was leaving the hotel, which is a testament to its exquisite luxury and style. The handpicked decor from Italy and France create the perfect setting for an unforgettable and truly luxurious experience. It was the antique furniture and original works of art that made me feel like I was part of a movie set. 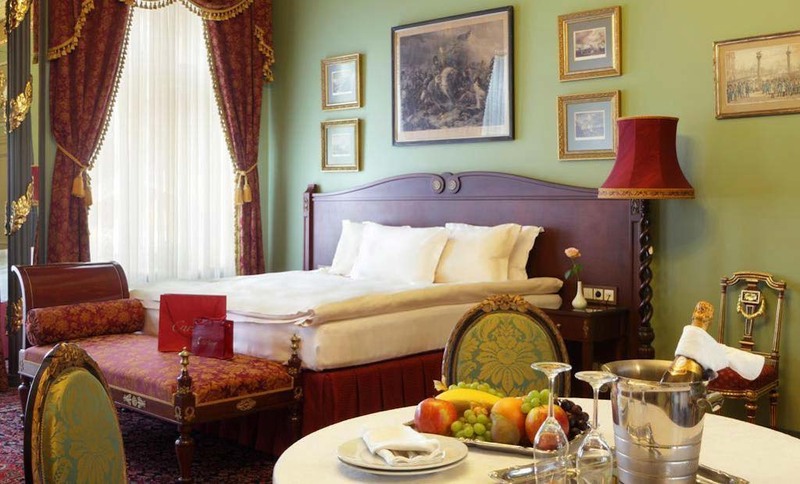 If you want to feel like a princess and experience a life of luxury, Gallery Park Hotel is the place to be. 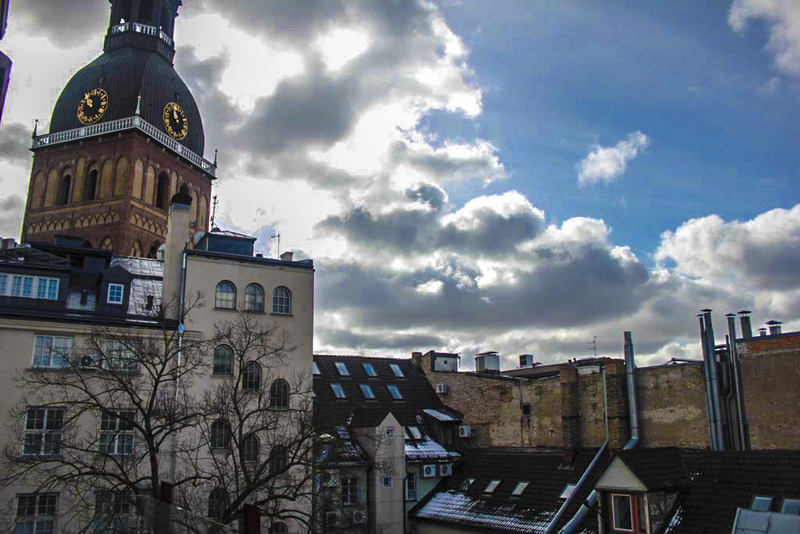 I’ve narrowed it down to three of the best choices in Riga, now it’s your turn to explore them and decided for yourself. 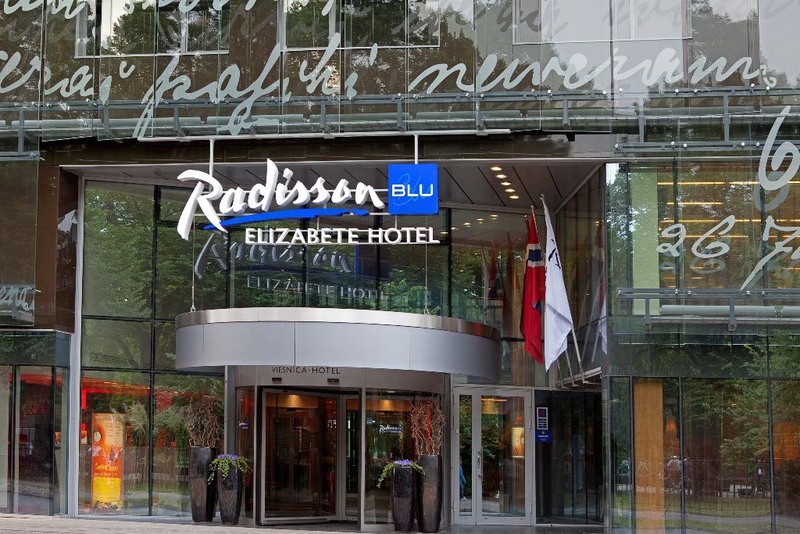 We’re going to Latvia in July and we are thinking about staying at the Radisson Blu Elizabete. My wife wants to go to the spa and the kids want to be near a park. It has both, right? Are you going for festivals, Rick?